Sermon for the Sunday after Christmas : "Christmas With Simeon"
Darkness is the enemy’s territory. Darkness brings out the worst in mankind; sin increases like a swarming plague of cockroaches. Wicked men cloak themselves in shadows intent on chaos, confusion and calamity. Darkness, sin, and death go together. Darkness deepened as Eden’s radiance shrouded Adam and Eve, and all of us in temptation, doubt, sin, and death, exiled in the valley of the shadow of death. Darkness thickened as Cain murdered his brother and became an outcast. Darkness saturated the world wit flood and judgment for man’s heart was a heart of darkness. Darkness covered Mt. Sinai while the children of Israel carried on in lawlessness below. Darkness filled the land for centuries as God’s prophets proclaimed and prepared the way of the Lord and then fell silent. But all of that changes tonight. The lamp of God’s Word is not snuffed out. The smoldering wick bursts forth with light. The night of sin and death are over. The pure Light walks the earth; the Light of the World comes to sit in darkness and thereby swallows it up. The darkness is cast out by uncreated Light. And so it’s no accident that God’s shines forth in the night, foreshadowing Christ’s divine rescue. In the midst of gloomy judgment clouds and murky abysmal waters, God’s holy ark was a floating city of light set upon the hills of the deep. In the center of the camp of Israel the Lord dwelt with his people by the holy firelight of his presence. Into the camp of the Midianites, Gideon – God’s faithful judge of old – beamed forth the light of deliverance with simple jars of clay while God routed his enemies. And tonight, the fulfillment of God’s promises come to pierce the darkness of sin, death and the devil. Once again, God dwells with us in darkness. For in the shadowy hills surrounding Bethlehem, there were shepherds watching their flocks by night. Do not be afraid. We need to hear those words as much as the shepherds did. Christ’s holy light also reveals and exposes all of our lawless, sinful deeds. God’s fiery wrath blazes hot against sin. The radiance of God’s Law blinds us. But you need not cower in fear. Kneel in repentance, yes. Then rise in joy. Do not be afraid. Not tonight. Not ever again. For tonight the Word made flesh speaks, breathing his Holy Spirit into the void and deep darkness of our sinful hearts: “Let there by life.” And it is so. Tonight, Jesus is his brother’s keeper; he is your keeper and brother, born in your human flesh to keep you from sin and death, sprinkling, washing and redeeming you by his blood that speaks a better word than Abel’s. Tonight God’s holy ark is still surrounded by animals and straw, but it rests not upon the cresting waves of judgment, but beneath a baby, whose arms embrace your judgment in order to give Noah and you and the whole world, eternal rest in his holy ark, the Church. Tonight, the light of God’s Law that exposes our sin is reflected in Christ’s perfect life lived on your behalf. The fullness of time has come; Christ is born under the Law to redeem you from the law and to give you adoption as sons. Tonight Abraham’s promised Son, the King of the nations is born and through baptism into his death and resurrection you are his descendants, his holy offspring – children of the Light. Tonight, the Greater Gideon goes forth from his crib to route our Satanic oppressor, to break the yoke of sin’s burden and to trample death under his feet once and for all. Tonight the Lord encamps and dwells in the midst of His people – not in the tent or the pillar of fire and cloud – but in the tabernacle of human flesh and in His holy temple of bread and wine. Tonight, Christ is born in the darkness of a cave in order to bring the whole ruined world up again with him. To call us out of sinful darkness into His marvelous light. And here’s the most remarkable thing of all: that this God of God, Light of Light, Very God of Very God comes down to earth from heaven in order to take earth into heaven with him. He becomes what you are – a child; so that you can become what he is – sons of the Father and heirs of heaven. But don’t be disgusted that his first bedroom smelled of manure and hay. Don’t be scandalized by the weakness of this lowly infant. Of course, God could have come, incarnate as a majestic earthly king. But instead, he chose to be incarnate as man who weeps at Lazarus’ grave. Who sweats blood at Gethsemane. Who mourns over Jerusalem. Jesus bears your human weakness and frailty; your sin and death…for that is the kind of God-Man you needed. Yes, this Christ child is no stranger to darkness. For that is why he was born. The light of Christmas shines all the way to the cross. And there in the pitch black night of Good Friday – God works his greatest work for you. The Light of the world swallows up our darkness. Death is dead. Satan is cast out. Sin is defeated. And you are Forgiven. Redeemed. Rescued. The same child laid in a manger for you was laid on the cross and in the tomb for you. But even the darkness of the grave could not hold him down. The Light of the World dawns once more from a cave with glorious resurrected light, victory over sin and death, and joy, the serious business of heaven. The Advent season of sober reflection, expectation and waiting is over. The fast is ended; the feast is here. Raise your voices. 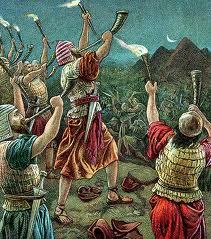 Blow the trumpets. Sound the bells. Christ is born. God became Man. No wonder the angels sang. But they do not sing alone; they sing for you…and with you. Tonight our voices join the angels and shepherds in triumphant joy. Tonight the vault of heaven sings with unrestrained joy. Heaven cannot contain its jubilation: Christ’s glory breaches the skies and fills the night and lights the earth. “Glory to God in the highest and on earth peace among those with whom he is pleased. Now, come, let us go…Not to Bethlehem of old…but to the new Bethlehem, Christ’s house of Bread… filled with His life-giving flesh and His precious blood given for you. 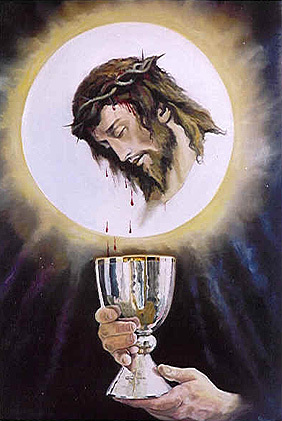 Come, let make haste to receive this holy food and this holy Savior – whom the Lord has made known to us. Joyous light of glory: of the immortal Father; heavenly, holy, blessed Jesus Christ. We have come to the setting of the sun, and we look to the evening light. We sing to God, the Father, Son, and Holy Spirit: You are worthy of being praised with pure voices forever. O Son of God, O Giver of life: the universe proclaims your glory. Blessed are you, O Lord our God, king of the universe, who led Your people Israel by a pillar of cloud by day and a pillar of fire by night. Enlighten our darkness by the light of your Christ; may his word be a lamp to our feet and a light to our path; for you are merciful, and your whole creation, and we, your creatures, glorify you, Father, Son, and Holy Spirit. Amen. Sermon for Advent 4: "Where Is God?" A lot of people have been asking that question lately. Maybe you’re still wrestling with that question this morning: Where was God in Newtown, CT that Friday morning when 28 people, 20 of whom were children, were murdered for reasons we’ll never know? The politicians, pundits and religious zealots all have their opinions – personally, I’m tired of them all; no one has answers, at least none that will silence the questions. 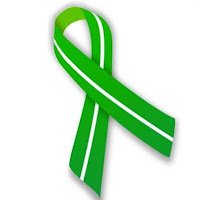 Maybe you’ve asked the same question for more personal reasons: as friends or family suffer in the ICU or on chemotherapy or recovering from surgery…or not. Maybe you’ve attended a few too many funerals this past year. Or maybe it’s all you can do to pay the bills and or keep your health insurance payments manageable. Here we sit, overwhelmed by the darkness of sin and surrounded by the shadow of death. We’re not the first ones to ask; look at the OT. Noah had the rainbow and Abraham Isaac. Moses had the burning bush and Israel had the tabernacle, the Ark and the pillar of fire and cloud. And David had the promise of an everlasting throne. But after hundreds of years in and one wicked king after another, after the temple was razed and Israel exiled, after the prophets’ preaching all the waiting, so much waiting…the question remained the same: Where is God? The world out there has all sorts of answers for you: “There is no god; why else would bad things happen to good people? There is no god; Jesus is just another myth, a crutch to make you feel better.” But that doesn’t answer our questions either. But here’s God’s unexpected answer: Mary was pregnant with God. God became man. Myth became fact. We don’t live in a world of mythological sin or make-believe evil; sin, death, and the crafty Serpent are all too real. And we don’t live in a world with an absent God. Hidden – yes. But not gone on endless vacation. No, not this God. Sin, death and hell are all too real for him as well. What would you do if your beloved creation and creatures that you pronounced “very good” were suffering? You’d want do what any parent would do if it was their child in trouble. You’d move heaven and earth to save them. You’d give your life – trade places with your child’s – if that meant sparing them from agony. You’d take a bullet for them. Well, so would Jesus. He already has, for the world…for you. For behold what manner of love the Father has given unto us; He became a child so that we should be called the children of God. He moves heaven to earth, his throne to Mary’s womb and takes human flesh into God. He trades places with you in birth, life and death. And He rose from Adam’s dust to embrace you in his death and resurrection. 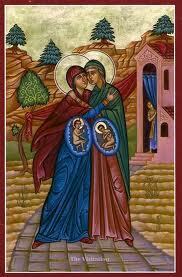 Christ comes to us, not in the halls of Herod or the courts of Caesar, but in the darkness of Mary’s womb. Christ descends to our deepest abyss, the manger and the cross. He dwells with us in death’s dark shadows. The night will soon be ending; for Mary’s stomach grows like the rising sun. Elizabeth greets Mary’s womb as one greets daybreak after a long, dark night. John leaps for joy as the Light of the world dawns on men, himself a man. God one ups himself. Out of the nothingness of Mary’s womb, the Word who makes all things, makes for himself a human body. Once again, God calls forth: “Let there be Light”…and it was so. Light and Life in human frame. Behold the Light of God who takes away the darkness of the world. The Light that no darkness can overcome. And behold, He is very good. Where is God? Just ask Mary or Elizabeth...or better yet, John. From the watery pulpit of Elizabeth’s womb, John delivers his first sermon with his feet. Even in utero, John is the forerunner. He answers our question with an exuberant kick as if he was going to wiggle right out of Elizabeth’s womb - he leaped for joy. And well he should…and well should we. For if seas roar, and rivers clap their hands; if mountains and hills sing together; if the mouths of infants and nursing babes and unborn prophets shout for joy – if all these, with one heart and mouth, glorify God on the day of His visitation, how much more should we? For Mary’s song is the song of the redeemed. The Mighty One has done great things for Mary and Elizabeth and John and you. (Chad Bird). God is no longer in a burning bush, nor in a pillar of cloud, nor seated between the cherubim. The old things have passed away and new things have come. The God who in days of old brought forth Eve from Adam’s flesh now brings forth the New Adam from the New Eve’s flesh. “This One is now bone of our bones and flesh of our flesh; He shall be called Man, because He was taken out of woman.”(Bird). Although he is a week old and roughly the size of a blueberry, Jesus is both God and zygote, God and blastocyst, God and Man. Jesus is breathing, kicking, wiggling, death-defeating, devil-crushing life. O sing unto the Lord a new song, for a woman is pregnant with Yahweh. Where is God? He sits enthroned in the womb of Mary. He is a growing child. He stands in the sinner’s stead in the Jordan. He is the dinner guest of tax collectors, prostitutes and sinners. He is your humble, suffering servant who lovingly placed your life and the world’s before his own. A lowly messiah who refused to use His divine power to feed his hunger or establish his kingdom. A meek messiah who endured the beatings of a world who didn’t want him. 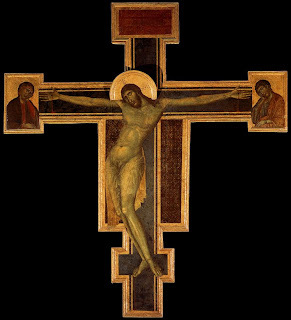 A crucified messiah who conquered the darkness by diving headlong into the darkness, who defeated Death by being swallowed up into Death, and took the world along for the ride. God is pleased as man with man to dwell. Emmanuel. God with us. God who is one of us. God for us. For under the cover of darkness, on a Friday afternoon, the innocent Son of God died for you and a world hell-bent on destroying itself. On the cross, Jesus is your fear and doubt, he is your guilt and sorrow, he is your sin and death; he is the beggar, the cancer patient, the homeless and hungry, he is the thief and liar and murderer. He removes the curse by becoming cursed. He fulfills the Law by bearing it for you. He takes your place in judgment. 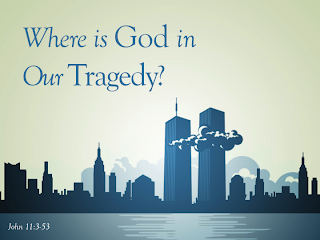 And he is the one crying out with you and for you: “My God, My God why have you forsaken me?” Where is God? But don’t be fooled or scandalized by his weakness. For beneath Jesus’ weakness is power. Under His bruised heel is the crushed head of devil. Under the wounds of His hands, His feet, His side is the healing of the nations. Under his crown of thorns is the healing of Sin’s insanity. Under His cry of abandonment is the embrace and love of God for a world gone mad. This may not be the kind of God the world looks for, but this is the God who looks for you; who was born of the Virgin Mary, suffered under Pontius Pilate, crucified, dead and buried. And on the third day he rose again. And once again God moves heaven to earth. Here the Bread of Life comes to you in his flesh to feed your flesh and satisfy your hungry bellies with good things: his holy body and blood. And God is in you for the neighbor. Christ hides himself in your words of compassion to the neighbor. Christ’s hands are hidden in your hands of mercy. You too are Christ’s manger where he comes to dwell with you in humble, sacrificial love for others. Why do we ask lament and ask such questions; is it because we doubt His Word or because we cling so tightly to Christ’s promises we don’t see how we can survive much longer in this world, or is it both? Simultaneously doubter and believer – yes, that’s us. It's ok to ask God where he is; to hold him to his promises. We may have more questions answers. So bring those questions, along with your doubts, fear, sin, guilt, death, sorrow and all that weighs you down – bring it all to the foot of Christ’s manger and his cross. There is God, for you. And blessed are we who believe that there is a fulfillment of what was spoken to us from the Lord. “Keep the Merry…Dump the Myth.” According to a recent Fox News article, that’s the message the New Jersey chapter of American Atheists being shared with visitors in Times Square this Christmas, er sorry, winter solstice celebration season. In recent years, various forms of atheist “evangelism” have become like Aunt Mable’s fruitcake: a regular scheduled holiday staple (my apologies to all fruit cake lovers and Aunt Mables out there). Not only that, the frequency of these messages have increased both in the size and scope with particular antagonism toward Christianity. According to Silverman, a private donor gave over 25k for the sign to remain in Times Square until January 10, 2013. Now, I’m not going to so say the charitable atheist doesn’t exist. But I can’t help but wonder how that 25k could have been better spent elsewhere, say a homeless shelter in New York City or the struggling victims of Hurricane Sandy, a sleigh-full of toys for tots or one Big Apple size bell-ringing bucket full of change. To be sure, this isn’t the main thrust of the Christian apologetic – nor should it be. However, there is something to be said for an apologetic of mercy. [endnote 1] It is worth noting that this further illustrates the deep chasm between the Christian and the atheistic, naturalistic worldviews. What would most Christian churches you know do if they were given a gift of roughly 25k this time of the year? Where your treasure is, there your heart will be also. Or, as C.S. Lewis once said, “If you read history you’ll find that the Christians who did the most for the present world were just those who thought most of the next.” (C.S. Lewis, Mere Christianity, p. 134). All that aside, here is the primary point: Christians should expect these kinds of messages in the public square to increase. We know they’re coming. Avoid blazing the culture warrior warpath over whether or not we should say, “Merry Christmas” or “Happy Holidays.” That will only leave you spinning your tires in the verbal snow. Similarly, avoid the First Amendment issues of free speech and establishment clauses. Yes, it’s important to know the language and history of the Constitution, but this discussion will lead you down the wrong reindeer trail, away from Christ and closer to Caesar. That’s great if you’re in a political discussion. But if you’re trying to proclaim the Gospel, this will shoot your eye out. Also, leave the debate about whether or not the United States is a Christian nation or not for another day. You only have so much time in a conversation with a skeptic. And so what if you can prove that the U.S. is based on a Judeo-Christian value system; that’s nowhere near the Gospel or saving faith in Christ and it doesn’t help one bit in demonstrating the truthfulness of the Christian claim that Christ’s death and resurrection is an historical event. And finally, avoid beginning with emotional arguments such as, “I’m offended, therefore it should be taken down,” or appealing to nostalgic feelings of festive and holiday cheer. Offense, nostalgia and emotion have no bearing whatsoever when it comes to the truthfulness or falsehood of an assertion. For example, I thoroughly enjoy watching Charlie Brown’s Christmas but can’t stand Frosty the Snow Man, and yet, in either case, I have not demonstrated the truthfulness about either character’s existence. Rather, Christians should deal with this billboard’s assertions head on: is it true that Christianity is just another myth to be dumped along the curbside with Santa’s sleigh and all the decorations on December 26th? And, when compared to the Christian worldview, does the atheistic, naturalistic explanation of the universe offer a better and more truthful explanation for the major questions in life (Where did I come from? What happens when we die? etc.). Of course, it is entirely possible that both the atheist and Christian worldviews are wrong, however, they cannot both be right. Questions of this nature simply cannot be answered on a billboard. Atheists are quick to throw Jesus onto the island of misfit myths along with the likes of Santa Claus, the Tooth Fairy, leprechauns, the Flying Spaghetti Monster, the Easter Bunny, and the like. You can understand why; it’s far easier to paint Jesus – and the Christian faith – as a foolish caricature and throw out a 25k “gotcha” message than it is to come meet the Christian claim on an intellectual, factual, evidential basis. Billboards like the one in New York have no interest in an open, honest debate. They are meant to poke fun and make assertions without examining any evidence for the Christian claim. But Jesus is entirely different than any of the aforementioned mythical characters. It would be like comparing the nightly news to my daughter’s favorite cartoon world of Bubble Guppies. In fact, the sign has it backwards. The commercial version of Santa Claus is the myth. 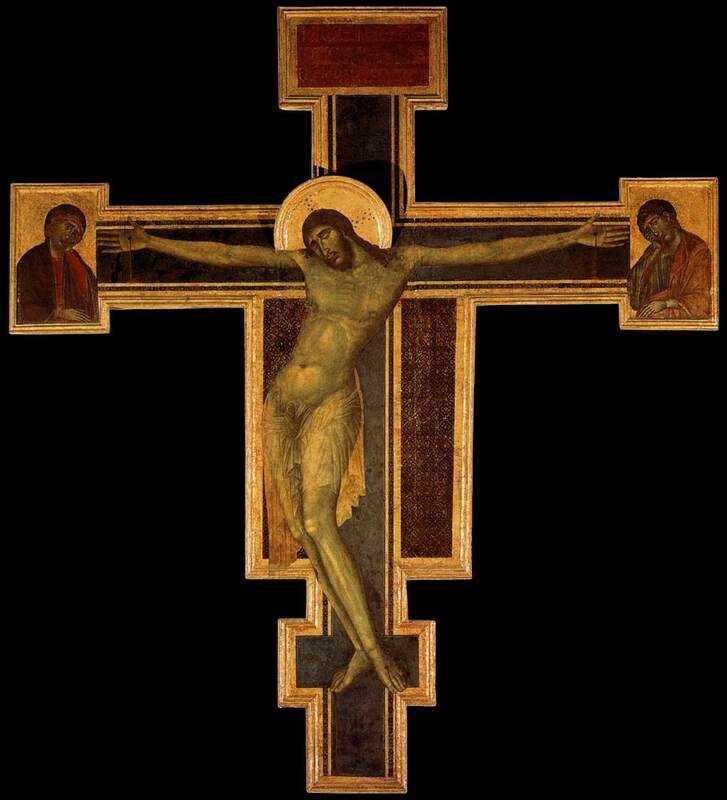 Whereas every reputable historian, from Tacitus forward, has acknowledged that Jesus existed as a historical person who lived and was crucified in Jerusalem. Unlike any other world religion, the core message of Christianity is objective and uniquely historical: a specific guy lived at a specific time in history, and did specific things that were heard, seen and recorded by eyewitness. What’s more, there is an overwhelming amount of evidence, both from Christian and secular sources, by which we can investigate this claim. Jesus is qualitatively, empirically, and historically different than the atheists’ definition of myth. If Christianity really is a myth – that is, a fictitious lie – Christians would agree with the billboard (1 Corinthians 15). However, contrary to atheist dogma, Jesus is not a myth. He was a real historical figure who claimed to die on the cross and vindicated his claim by rising on the third day. Therefore, Christians can and should make a well-reasoned case for the truthfulness of the Christian claim that Christ was born, lived, died and rose. You see, Christmas and apologetics go hand in hand. These events didn’t occur “once upon a time” or in a galaxy far, far away” but out in the open for all – skeptic and believer – to see and hear. It happened in the days when Quirinius was governor of Syria and Caesar Augustus decreed a census. To be sure, Luke (like the other gospel writers) presents the facts in historical narrative form. But the characters are nonetheless real historical figures: Caesar, Quirinius, Pilate, Herod, Caiaphas, John, Jesus, Mary, Peter, James, Paul, etc. These are real historical figures and real historical events. The facts of history simply do not fit the assertion made by this recent billboard. The Christmas story reads more like an historical document at times than a proclamation of cosmic rescue from sin and death. In reality, it’s both a declaration and a defense. Proclamation was always accompanied by evidence for the veracity of the events themselves. Just read Acts, also written by Luke the historian and apologist. But don’t stop there. Examine the reliable eyewitness testimony. Look at the veracious historical records – both of Christian historians and secular. Study the numerous archaeological findings. Paul Maier spends almost ninety pages in his book, In the Fullness of Time going over the historical, archaeological, geographical and scriptural evidence for the empirical reliability of the events surrounding the Christmas story. [endnote 2] And Lee Strobel has also written a brief, but helpful book titled, The Case for Christmas. 1. Multiple, independent sources support historical claims. 2. Attestation by an enemy supports historical claims. 3. Embarrassing admissions support historical claims. 4. Eyewitness testimony supports historical claims. 5. Early testimony supports historical claims. In every case, the Christian claim passes the historical test easily. Second, continue the apologetic discussion by using a “bare minimum facts” approach, which builds a case using those facts that demonstrate a high degree of certainty among both Christian and skeptical scholars. The war on Christmas isn’t going to stop anytime soon. So, we need a little apologetics, right this very minute! Read the atheists’ books and tackle their arguments with critical thinking, answer their objections in truth and love, challenge your atheist friends or neighbors to be open-minded enough to look at the evidence, and continue steadfast in defense and confession of the orthodox Christian faith. Christianity doesn’t ask us to check our brain at the door; rather, it is a faith founded on fact. This message – Jesus died for your sins and rose again – is true. It is the greatest story ever told because it is also true. And it shouldn’t be lost on us that this is also a story. Myths are stories that explain the world around us; but myth need not be a word defined purely by fiction or falsehood. A story that is true does not cease to be a myth and a myth certainly can be a true story, such as we find in the historic Christian faith. The heart of Christianity is a myth which is also a fact. The old myth of the Dying God, without ceasing to be myth, comes down from heaven of legend and imagination to the earth of history. It happens – at a particular date, in a particular place, followed by definable historical consequences. We pass from a Balder or an Osiris, dying nobody knows when or where, to a historical Person crucified (it is all in order) under Pontius Pilate. By becoming fact it does not cease to be a myth: that is the miracle…For this is the marriage of heaven and earth: Perfect Myth and Perfect Fact: claiming not only our love and our obedience, but also our wonder and delight, addressed to the savage, the child, the poet in each one of us no less than to the moralist, the scholar and the philosopher. Lewis’s words remind us that the Christian Gospel – that God was in Christ reconciling the world to himself – answers both the intellectual and existential questions of man. All of our questions about life and death, about God’s existence and his care for creation and our life after death are finally answered in the most unlikely places: Bethlehem and Jerusalem. God became man for you. God was in the manger for you. God was on the cross for you. So, this Christmas you can keep the merry and the myth, for the myth has become fact for you. Made flesh for us; herein Thy grace forth shineth. Here I have in mind books like Alvin Schmidt’s How Christianity Changed the World and Arthur C. Brooks’ Who Really Cares: America’s Charity Divine, Who Gives, Who Doesn’t and Why It Matters. 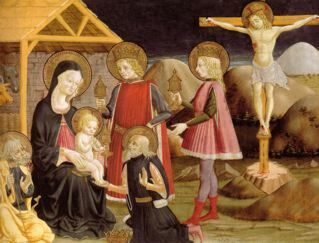 Paul Maier, In the Fullness of Time: A Historian Looks at Christmas, Easter, And the Early Church. Grand Rapids: Kregel Publications, 1991. The following lists come from a book by Michael Licona and Gary Habermas, The Case for the Resurrection of Jesus. Grand Rapids: Kregel Publications, 2004.